One of the flurry of Charter passing mentions this week is R v Dickson  VSCA 271, an appeal by a former AFP officer who was convicted of posing as a customs officer to facilitate the theft of some counterfeit cigarettes being held in a Port Melbourne warehouse. He was convicted of conspiring with three other people: Holmes (then a Victoria Police officer), Purdy (an associate of Holmes’s) and Wang (the fence, turned Crown witness.) But there were problems with each of these alleged co-conspirators. 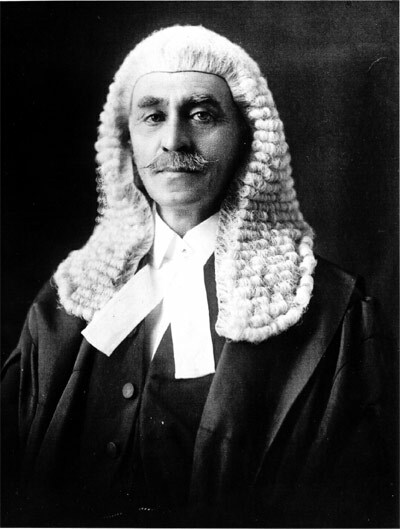 At Dickson’s first trial (which was joint with Holmes and Purdy), the trial judge directed an acquittal of the latter two. Because the jury had to be discharged, Dickson was tried again on his own, and it was only then that the prosecution joined Wang as a co-conspirator (arguing that, given his guilty plea, including his role in the original joint trial would have been too confusing for the jury. Counsel for the Crown did not dispute that the filing of the ‘new’ presentment amounted to ‘the commencement of proceedings’ within the meaning of the Charter of Human Rights and Responsibilities Act 2006, and, against that background, the contention was advanced on behalf of the applicant that there has been a breach of s 25(2)(c) of the Charter and a failure to ensure that the applicant was ‘tried without unreasonable delay’. Therefore it was said, the verdict should not be permitted to stand. There is no need to expand upon the relationship between the rights accorded under the Charter and the principles which this Court must apply in performing its role under s 568 of the Crimes Act in addressing an application for leave to appeal against conviction. The present matter involved a number of alleged offenders and hearings and, having regard to the reasonable expectations that could be placed upon our criminal justice system, could not be assessed as inordinately protracted or resulting in the unreasonable or unjustified delay of the hearing at which the applicant was convicted. Addressed by reference to the function of this Court under s 568, there is certainly nothing that could give rise to any reasonable concern that the lapse of time between the occurrence of the events in question and the time at which it was conducted or by reason of some form of forensic disadvantage that the applicant may have suffered. Indeed none was ever suggested by his counsel. To the contrary, the Charter’s interpretation mandate may have changed the meaning of that provision (and terms like ‘miscarriage of justice’) and, as well, the Charter’s conduct mandate may have changed what trial and pre-trial events amounted to a ‘wrong decision on any question of law’. Second, in particular, the Court of Appeal’s assessment focuses only on the ‘reasonable expectations of the criminal justice system’ and the risk of ‘forensic disadvantage’. But that arguably gives short shrift the ‘minimum guarantee’ offered by Charter s. 25(2)(c), which may well cover broader concerns, such as the defendant’s entitlement to a system and processes that can resolve the question of his guilt of theft in under four years, absent exceptional difficulties. In particular, the major delay in this case was the prosecution’s charging of Holmes and Purdy and what proved to be an inadequate case, thus costing Dickson his chance to have the matter resolved in 2006. Dickson’s reasonable expectations and whether or not he suffered a forensic disadvantage are arguably beside the point, as the Charter may have changed the ‘function of this Court under s. 568’ beyond the confines of traditional appellate law. Two days ago, in Salduz v Turkey  ECHR 1542, the Grand Chamber of the European Court of Human Rights unanimously overruled one of its lower chambers, in a case concerning a young man accused of breach of Turkey’s anti-terrorism laws through his alleged involvement with the PKK. Seventeen year-old Yusuf Salduz, arrested on suspicion of being involved in a PKK demonstration and hanging an illegal banner (“Long Live Leader Apo”) from a bridge, was interrogated for two days by government security officers. In accordance with the then Turkish security laws, he was not allowed a lawyer, though he was told of his right to remain silent. He confessed to the allegations and gave samples of his handwriting, which an expert report was unable to conclusively match with the banner. After his charge, he retracted the confession, but was convicted on evidence including the confession, a further expert report and evidence from his alleged partners in PKK-support. [T]he Court finds that in order for the right to a fair trial to remain sufficiently “practical and effective” Article 6 § 1 [the ECHR fair hearing right] requires that, as a rule, access to a lawyer should be provided as from the first interrogation of a suspect by the police, unless it is demonstrated in the light of the particular circumstances of each case that there are compelling reasons to restrict this right. 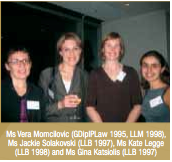 Even where compelling reasons may exceptionally justify denial of access to a lawyer, such restriction – whatever its justification – must not unduly prejudice the rights of the accused under Article 6… The rights of the defence will in principle be irretrievably prejudiced when incriminating statements made during police interrogation without access to a lawyer are used for a conviction. In this respect, the Court underlines the importance of the investigation stage for the preparation of the criminal proceedings, as the evidence obtained during this stage determines the framework in which the offence charged will be considered at the trial.. At the same time, an accused often finds himself in a particularly vulnerable position at that stage of the proceedings, the effect of which is amplified by the fact that legislation on criminal procedure tends to become increasingly complex, notably with respect to the rules governing the gathering and use of evidence. In most cases, this particular vulnerability can only be properly compensated for by the assistance of a lawyer whose task it is, among other things, to help to ensure respect of the right of an accused not to incriminate himself. This right indeed presupposes that the prosecution in a criminal case seek to prove their case against the accused without resort to evidence obtained through methods of coercion or oppression in defiance of the will of the accused… Early access to a lawyer is part of the procedural safeguards to which the Court will have particular regard when examining whether a procedure has extinguished the very essence of the privilege against self-incrimination. The Court further recalls that neither the letter nor the spirit of Article 6 of the Convention prevents a person from waiving of his own free will, either expressly or tacitly, the entitlement to the guarantees of a fair trial… However, if it is to be effective for Convention purposes, a waiver of the right to take part in the trial must be established in an unequivocal manner and be attended by minimum safeguards commensurate to its importance… Thus, in the present case, no reliance can be placed on the assertion in the form stating his rights that the applicant had been reminded of his right to remain silent. After midday on 22nd February 2006, four or so months before the Charter was enacted, Peter Kokkios took a walk through Richmond’s public housing estate, not far from where I live. He was approached by a short skinny man and a tall fat one – that rules me out! – who asked him for a cigarette. When Kokkios said no, the next request was for his $1800(!) Tag Heuer watch, a request backed up by a syringe produced by the skinny guy. After taking a further $50 from Kokkios’s pocket, they ran off, with the taller one shouting ‘Come on Ant!’. Who was this ‘Ant’? Mr Kokkios recalled that the skinny man had bloodshot and baggy eyes along with bad skin and bad breath. Mr Kokkis recalled that he was about 5 feet 10 inches tall and his hair, which was slicked or combed back, was black. He recalled that the skinny man looked European – Italian or Greek – was clean shaven, had brown eyes, a very long and skinny face and was approximately 20 to 25 years old. He recalled that he was wearing a red top and black ‘parachute’ tracksuit pants and a red T-shirt. The next day, Kokkios identified Antonio Falcone from a photoboard. Falcone’s alibi wasn’t the best. He said that he went with his mum to the Commonwealth bank on nearby Bridge Road to get some money out, but left empty-handed when it turned out his account was in the red. A computer record showed that his discussion with the bank happened at 11.40AM. The disappointed pair went home. A couple of hours later, Falcone pawned some of Mrs Falcone’s jewelry. He denied having entered the housing estate that or wearing red or black clothing. If we find that we can place him at the scene, but believe he is not the man with the syringe, can we still find him guilty? I’m not convinced that this is actually what the jury wanted to know. This account is directed to whether or not the evidence could support a finding that Falcone was the other man. But I suspect that what the jury really wanted to know was whether you could still be guilty of armed robbery even if you weren’t the one carrying the syringe. Because of the doctrine of ‘acting in concert’, the answer is, almost certainly, yes, as the trial judge had earlier directed them. Three days later, the jury convicted Falcone of armed robbery. In R v Falcone  VSC 225, the Court of Appeal overturned Falcone’s conviction and ordered a new trial. The reason was that the Crown’s sole theory presented in the trial was that Falcone was the guy with the syringe. Australia’s common law doesn’t allow a new factual theory to be introduced without the defendant having a chance to respond. So, the trial judge should, instead, have answered ‘no’. The right to a fair trial is an essential safeguard of the liberty of the individual under the law. It finds expression in Article 14 of the International Covenant on Civil and Political Rights 1966 and is reinforced by s 24 of the Charter of Human Rights and Responsibilities Act 2006 (Vic).